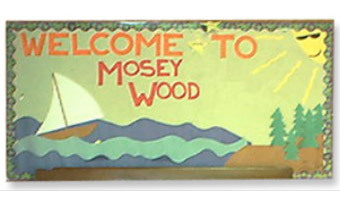 Established in 1939, Camp Mosey Wood is located on 425 scenic acres in the Pocono Mountains in Kidder Township, Carbon County. The camp is owned and operated by the Girl Scouts of Eastern Pennsylvania (GSEP) and can currently accommodate approximately 300 campers. In 2004, the camp management decided to invest in major improvements to the site’s sanitary sewer and water systems. Hanover Engineering was retained by the Girl Scouts to complete the design of the improvements including permitting, bidding, and assisting with construction oversight of the project. The project included extending water and sanitary sewer services to several camp sites, as well as adding two shower houses, two dormitories, and several administrative buildings. The design of the wastewater infrastructure consisted of gravity sewers, force main, and a pumping station, with wastewater being conveyed to the Kidder Township Wastewater Treatment Plant. The force main is approximately one mile long and was constructed of 3” high density polyethylene (HDPE) pipe. HDPE pipe was used since it is available in 500-foot long coils, reducing the number of joints and the potential for leaking and joint failure. Axiom Engineering Services was retained by Hanover Engineering as a subcontractor to complete the design of the electrical components for the improvements. During review of the site and its facilities, Axiom Engineering Services recommended, and Camp Mosey Wood implemented, the consolidation of eleven (11) existing electric power services to improve efficiency. It is estimated this improvement reduced electric costs for the campsite by approximately 40% yearly. Since this project was located on a nature learning center, care was taken during design to minimize the environmental impact of the construction work.